With over 10 million persons already using Google Plus, the Google +1 feature is a great addition to the TabSite family of widgets within the Drag N Build System. Users can simply drag the widget onto the fan page tab, web or blog site they are creating, set the url they want users to "Plus 1" and then drag the Google Plus 1 icon exactly where they want it on the fan page. THAT"S IT! YOU ARE DONE! Here is the Google Plus 1 widget icon as you would see it in the TabSite Manager. 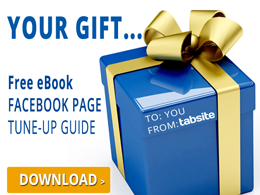 The +1 gives you another tool to increase social sharing of your fan page custom tab content across the web! First, drag the Google+1 widget icon to the editing board below. After dragging, this will appear. 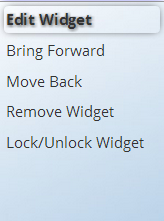 This functions to customize properties of your widget by filling it up with the details. Easy. Powerful. Social. That's the TabSite fan page platform!